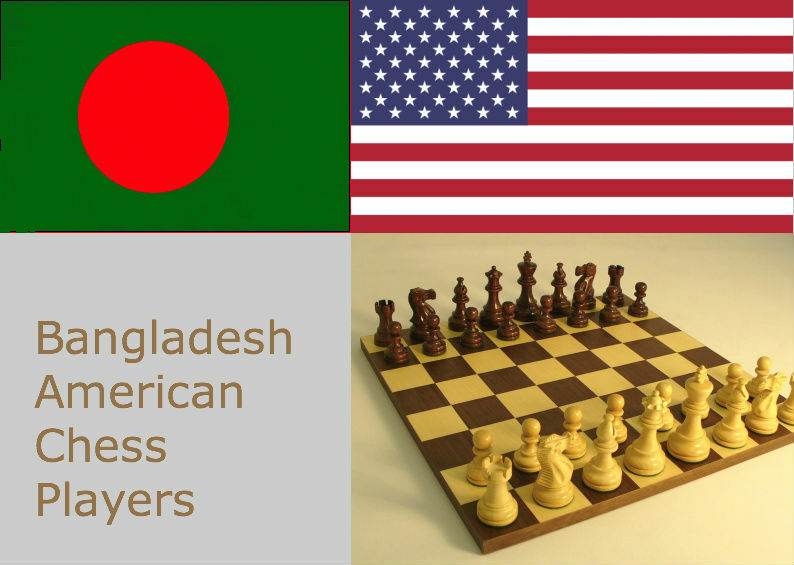 Last month a reporter from New York Times called me to know more about why we registered Ahyan on Millionaire Chess tournament at such a young age of 7. He informed that he was planning to write a report on Millionaire Chess and that's when he came to know about Ahyan. I answered all his queries some of which was quoted in the article. 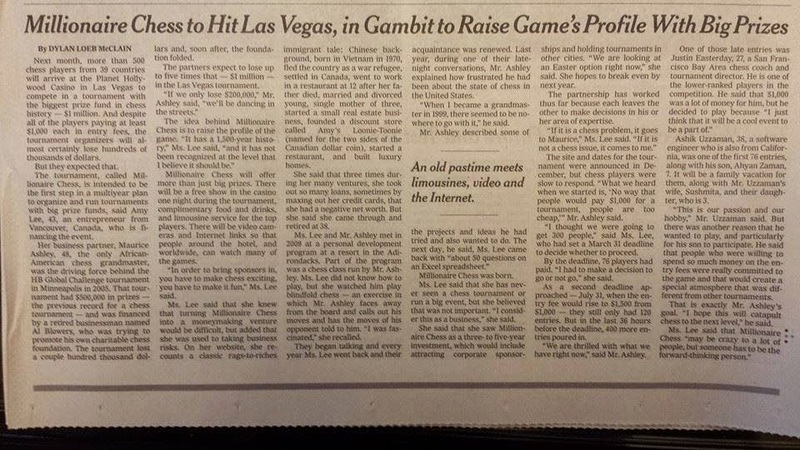 1st September Sunday New York Times have published the article on Millionaire Chess and we (whole family) were mentioned in it. The paper cutting was scanned and uploaded in Facebook by one of the Millionaire Chess participants Adia Onyango. Thank you Adia. Ashik Uzzaman, 38, a software engineer who is also from California, was one of the first 76 entries, along with his son, Ahyan Zaman, 7. It will be a family vacation for them, along with Mr. Uzzaman’s wife, Sushmita, and their daughter, who is 3. “This is our passion and our hobby,” Mr. Uzzaman said. But there was another reason that he wanted to play, and particularly for his son to participate. He said that people who were willing to spend so much money on the entry fees were really committed to the game and that would create a special atmosphere that was different from other tournaments. The reporter Dylan McClain himself is a FIDE Master of Chess and hence is very familiar with the intricacies of Chess world. We are ordinary people and ordinary chess players. Getting mentioned in one of the world's most widely read (and most prestigious) newspaper is something that humbled us. We are happy and can't wait to join the Millionaire Chess tournament this October at Planet Hollywood in Las Vegas!